Rev. 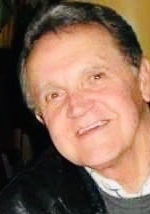 Douglas Keith Erickson, 79, of Mishawaka, passed away on Wednesday, April 10, 2019 at his son’s home in Goshen. Doug was born on January 25, 1940 in Elkhart to Arvid “Pete” and Vera (Reglin) Erickson. He married Judith G. McCombs on October 21, 1961 in Elkhart. He is survived by his daughters, Dana (Thomas) Trent of Dublin, GA, Samantha Caggiano of Mishawaka and his son, Mark (Tammy) Erickson of Goshen; six grandchildren Kari (Kyle Miller) Trent, Taylor Hostetler, Breece Erickson, Gavin Caggiano, Laura (Jonah) Mack and Cara Trent and one great granddaughter Lillian Miller. Doug was preceded in death by his parents, his wife, his daughter, Rhonda Erickson and his brother, Arden “Cork” Erickson. Doug honorably served his country in the United States Army. He graduated from Ft. Wayne Bible College and Liberty Home Bible Institute. He formerly worked for the Elkhart City Police Department and the Indiana State Police Department. His love was truly for the Lord where he served as Pastor to Hillcrest Baptist Church in Mishawaka, First Baptist Church in Elkhart, Calvary Baptist in LaPaz and Aloha Baptist Church in Honokaa, Hawaii. The family will receive friends from 4-8 pm Saturday, April 13, 2019 at Stemm-Lawson-Peterson Funeral Home, 1531 Cobblestone Blvd, Elkhart. Funeral services will be held at 6 pm on Sunday, April 14, 2019 at Hillcrest Baptist Church, 59220 Bremen Hwy, Mishawaka, IN visitation will also be held one hour before services at the church. Pastor Mark Black will officiate. Burial will be private at Rice Cemetery in Elkhart. Memorial donations may be made to Heartland Hospice, 230 West Catalpa Drive, Mishawaka, IN 46545. Online condolences may be sent to Stemm-Lawson-Peterson funeral home web site.